Its back to school and a start of a new year. Getting back into routines and establishing new ones can be challenging for parents. The rush of school pick ups and drop offs and homework as well as daily routines takes a toll on everyone. It can be difficult for parents to find time to get homework, chores and errands completed in a day, so here are some suggestions on questions to ask your child in between a busy day. The best times are in the car, during bathing, dressing and meals or even in between your shopping trips to the store. It is important to develop your child’s listening, thinking and language skills as opposed to propping them in front of a flat screen device. Promoting language development should always occur with functional daily activities to promote learning. If your child has difficulty answering these questions and constructing appropriate sentences, then you should speak to a speech-language pathologist for assistance. Asking your child these questions during everyday activities and routines assists you with bonding with your child and developing their social communication skills. Its also a great way to find out about your child’s school day as there may always be a fascinating story or uncovered secret no one else knows! 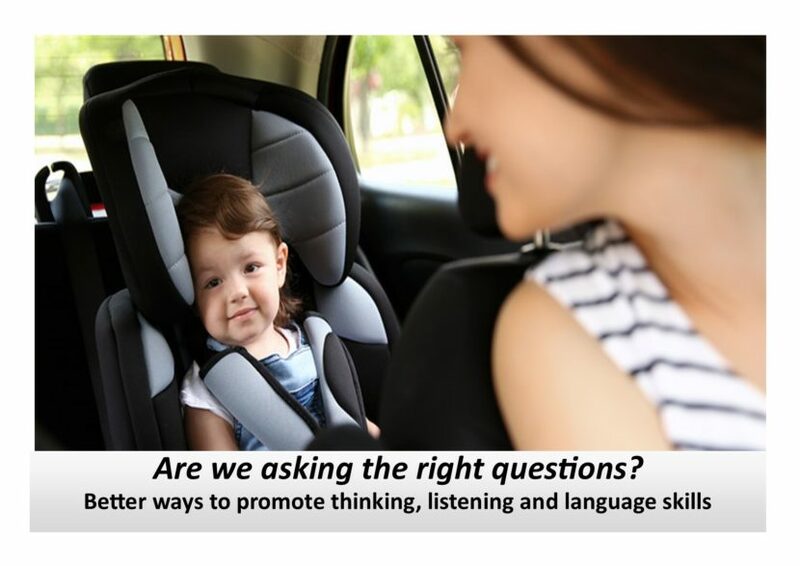 So, the next time you are stuck in traffic on the way home from school pickups, waiting in lines at the store or busy in the kitchen with your child, try asking your child these questions. Did you catch anyone doing something funny? What games did you play at break time? What rules did you follow at school today? What is the most popular thing to do at break time? What was your favourite subject to study today? Why?